Heating and air conditioning systems are very reliable and provide years of dependable service when properly maintained. The Energy Star® program recommends that homeowners service their heating and cooling systems twice a year. In addition to a pre-winter heating system service, the unit should undergo another professional tune-up in the spring before the high-demand summer cooling season. These services help ensure that the system is operating at optimum efficiency so that it uses less energy while providing the desired level of comfort. In addition to regularly changing the air filters, keep the top and sides of the outside unit free of leaves, grass and other debris. Ensure that there is at least 2 feet of unobstructed space around the unit for proper airflow. Clear the air conditioner condensate drain with a mixture of bleach and water. During the spring maintenance check-up, an experienced technician will check the refrigerant level and inspect the cooling system for any leaks. The inspection allows the technician to identify and replace electrical connections that are malfunctioning and to verify that the system controls are operating as designed. In addition to clean evaporator and condenser coils, properly functioning controls ensure proper airflow and protect the equipment. Leaks, poor airflow and malfunctioning controls cause the unit to run longer and operate less efficiently, which increases energy costs while reducing the serviceable life of the equipment. At Palm Air, providing excellent customer service is a top priority. 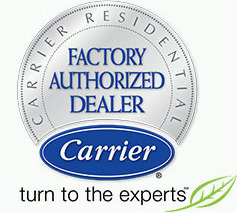 Homeowners can also receive a variety of coupons and rebates on installations, service calls and HVAC accessories. Now is the perfect time to schedule a system checkup. As summer approaches, there will be an increased demand for service calls. Use these money saving specials to ensure that the air conditioner is operating correctly before the summer heat arrives. First-time and returning customers can take advantage of these spring specials. The Palm Air team takes homeowner comfort seriously. Technicians are available for scheduled services as well as emergencies. Palm Air provides the highest level of customer service backed by a 100 percent satisfaction guarantee. 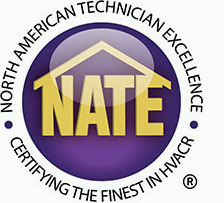 NATE-certified technicians can answer any questions related to maintaining or replacing equipment. Contact the office to schedule an appointment for a spring air conditioning tune-up or any other heating or air conditioning needs.